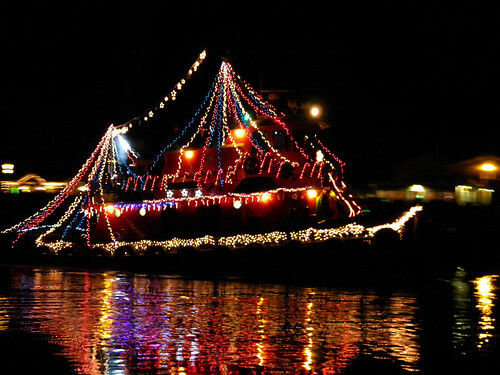 Thanksgiving has come and gone and the start of the Christmas season has begun. 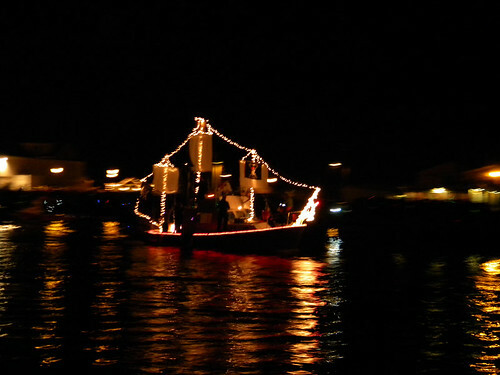 With a nice warm 60° day we headed out for some holiday fun. 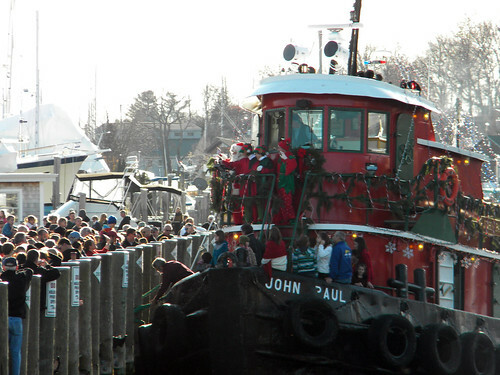 We kicked off the start of the holiday season by going to watch Santa arrive by tugboat this year. It was awesome. 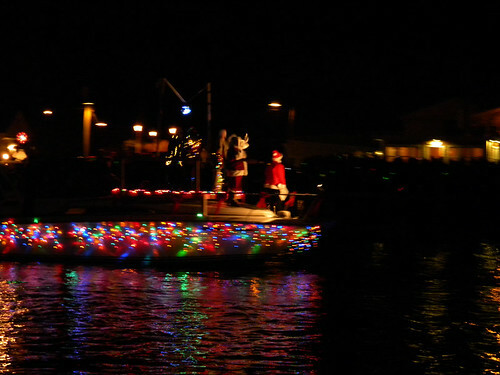 I have to say that it's the very first time I've seen Santa arrive this way. 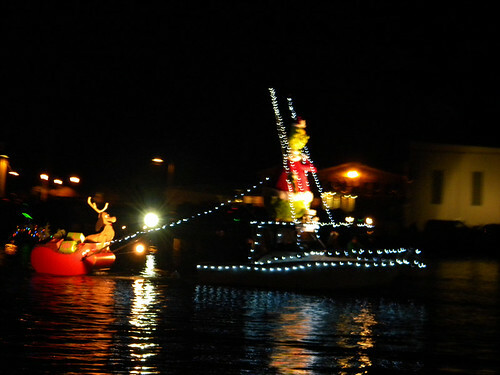 Usually he's on top of a building or turning on the city lights but this year we opted for something close to home and different. 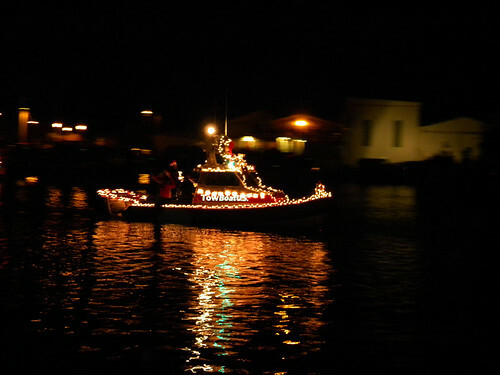 Following the crowd and wait to see Santa we headed to the village for dinner. 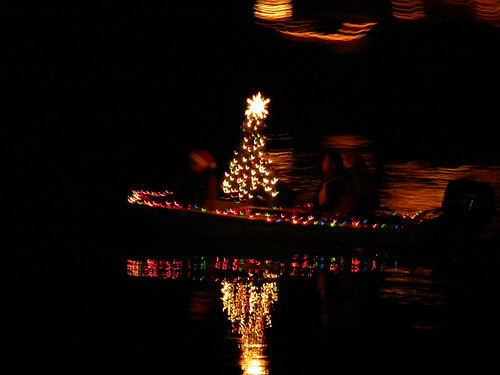 They are doing a wonderful job decorating the village for Christmas. I'll have to try to get some pictures when it's all done. 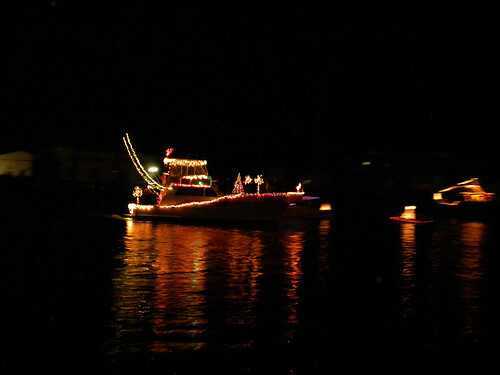 After dinner it was time to head back down to downtown and the docks for a lighted boat parade. 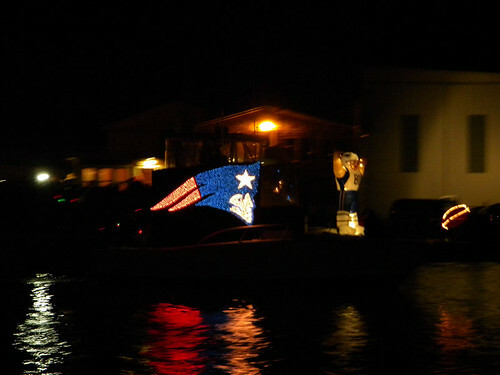 The boat parade was so much fun. 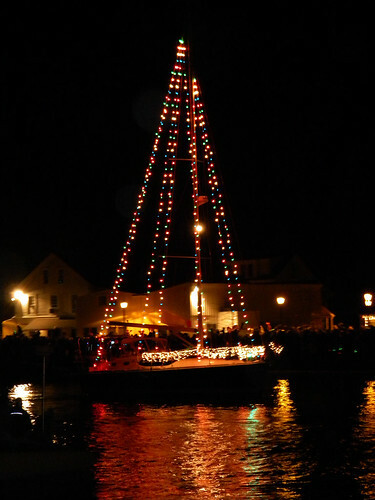 The drawbridge goes up and people start cheering and whistling, boat horns blare and colored lights float on by. I'm currently working on paper for a book and figured I'd share how I tea stain my paper. 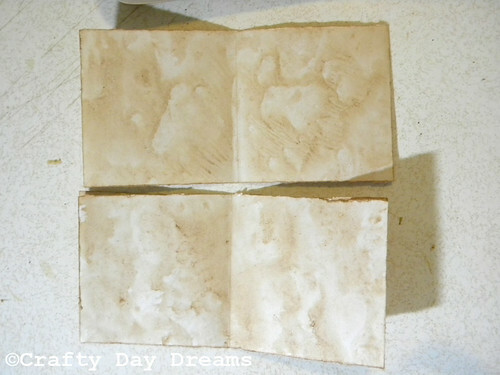 When I first started staining paper I read up on different ways and materials to use, for example you can use coffee. Now I've never used anything other than tea, as I don't really see an need to. I tend to do what works for me, so it may be a bit different than others that you may have seen. 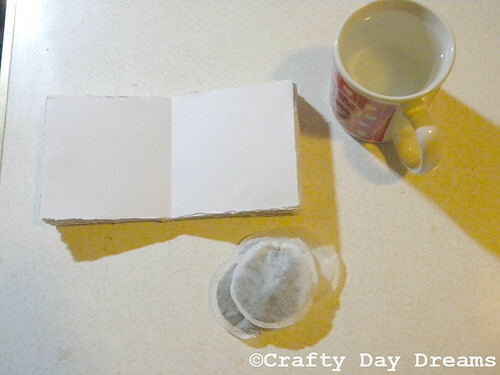 To get the tea stain on the paper wet the tea bag by dipping it in the hot water. You might need to let the teabag sit for a few seconds to a minute by the side of the cup after you dip it. You want the tea bag and the tea inside to become saturated and absorb/hold the water that you just gave it. When you first dip the tea bag it may seem like it's not getting wet, this is why I dip it then let it sit. Once it has set you can dip it again and make sure that it is wet, give it a little squeeze you don't want it dripping wet. As you work with tea staining you'll get a feel for just how much water you like in your tea bag. 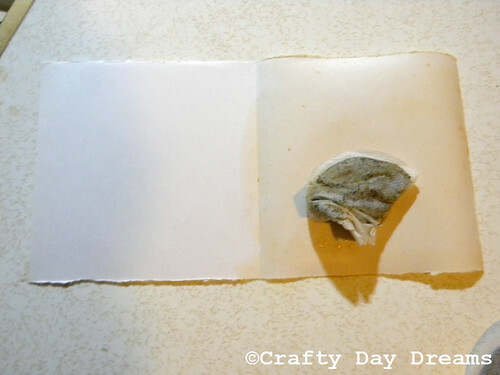 If you like your paper to just have a even color across it then simply rub/wipe the tea bag across the paper until the entire paper is colored. You can see in this picture that I have done have the side of this page that way. Now I prefer not to have a nice even color to my pages. I like each page to have it's own uniqueness to it, so that no two pages are the same. To do this I start out as described above with the nice solid color but then I go in and dab my tea bag on the paper and squeeze some of the water out. Remember to dip your tea bag into the water when it start to seem like it's getting dry or not leaving a light trail of water on the paper. I dip one tea bag and let it rest by the side of the mug to get a darker color, similar to how you would let the tea bag sit in the water to get a darker stronger tea. If the tea bag happens to break or rip and tea comes out don't panic, it's fine. It actually adds some nice designs to the paper. 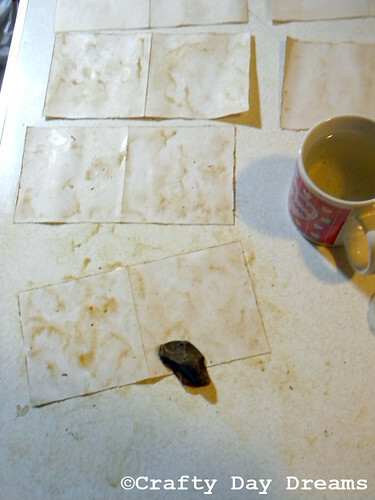 The places where the tea is on the paper will be darker when it dries. The tea simply brushes off once the paper has completely dried. Once you have stained one side of your paper don't forget about the other side. I do one side and let it set for a bit and then do the other side. It's a fun process and I love to see the results. I would recommend wearing gloves if you do not want your hands dyed or smelling like tea. Hopefully you'll have as much fun as I do tea staining paper. It's a great way to get an old look and feel to paper. The holidays are such a wonderful, magickal time of the year. They are very special to me and hold some of the best memories for me. I love to make the holidays extra special by adding that element of there being something unique and handmade. Plus with out there being much money this time of year handmade makes much more sense. Handmade items are typically equal to, though almost all the time are better than, the manufactured items. I have never been disappointed in the purchase of a handmade item. I usually end up making gifts myself along with cooking for everyone but I love it. If I don't end up making something I like to buy that unique handmade item.